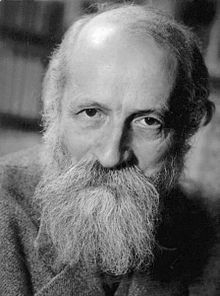 Martin Buber (February 8, 1878 – June 13, 1965) was a Jewish philosopher, theologian, story-teller, and teacher. 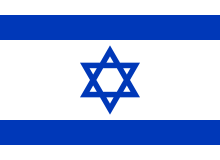 To win a truly great life for the people of Israel, a great peace is necessary … a true peace with the neighboring peoples, which alone can render possible a common development of this portion of the earth as the vanguard of the awakening Near East. Life, in that it is life, necessarily entails justice. 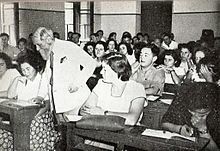 To win a truly great life for the people of Israel, a great peace is necessary, not a fictitious peace, the dwarfish peace that is no more than a feeble intermission, but a true peace with the neighboring peoples, which alone can render possible a common development of this portion of the earth as the vanguard of the awakening Near East. Variant translation: Only a true peace with neighboring peoples can render possible a common development of this portion of the earth as a vanguard of the awakening of the Near East. The prophet is appointed to oppose the king, and even more: history. When we rise out of [the night] into the new life and there begin to receive the signs, what can we know of that which — of him who gives them to us? Only what we experience from time to time from the signs themselves. If we name the speaker of this speech God, then it is always the God of a moment, a moment God. The Thou encounters me by grace — it cannot be found by seeking. But that I speak the basic word to it is a deed of my whole being, is my essential deed. All real life is meeting. Variant translationː All actual life is encounter. Person erscheint, indem sie zu andern Personen in Beziehung tritt. Whoever abhors the name and fancies that he is godless — when he addresses with his whole devoted being the Thou of his life that cannot be restricted by any other, he addresses God. The world is not divine sport, it is divine destiny. There is divine meaning in the life of the world, of man, of human persons, of you and of me. Creation happens to us, burns itself into us, recasts us in burning — we tremble and are faint, we submit. We take part in creation, meet the Creator, reach out to Him, helpers and companions. Man must be free of it all, of his bad conscience and of the bad salvation from this conscience in order to become in truth the way. Now, he no longer promises others the fulfillment of his duties, but promises himself the fulfillment of man. When we see a great man desiring power instead of his real goal we soon recognize that he is sick, or more precisely that his attitude to his work is sick. In philosophical anthropology, … where the subject is man in his wholeness, the investigator cannot content himself, as in anthropology as an individual science, with considering man as another part of nature and with ignoring the fact that he, the investigator, is himself a man and experiences this humanity in his inner experience in a way that he simply cannot experience any part of nature. So long as you “have” yourself, have yourself as an object, your experience of man is only as of a thing among things. An example may clarify more precisely the relation between the psychologist and the anthropologist. If both of them investigate, say, the phenomenon of anger, the psychologist will try to grasp what the angry man feels, what his motives and the impulses of his will are, but the anthropologist will also try to grasp what he is doing. In respect of this phenomenon self-observation, being by nature disposed to weaken the spontaneity and unruliness of anger, will be especially difficult for both of them. The psychologist will try to meet this difficulty by a specific division of consciousness, which enables him to remain outside with the observing part of his being and yet let his passion run its course as undisturbed as possible. Of course this passion can then not avoid becoming similar to that of the actor, that is, though it can still be heightened in comparison with an unobserved passion its course will be different: there will be a release which is willed and which takes the place of the elemental outbreak, there will be a vehemence which will be more emphasized, more deliberate, more dramatic. The anthropologist can have nothing to do with a division of consciousness, since he has to do with the unbroken wholeness of events, and especially with the unbroken natural connection between feelings and actions; and this connection is most powerfully influenced in self-observation, since the pure spontaneity of the action is bound to suffer essentially. It remains for the anthropologist only to resign any attempt to stay outside his observing self, and thus when he is overcome by anger not to disturb it in its course by becoming a spectator of it, but to let it rage to its conclusion without trying to gain a perspective. He will be able to register in the act of recollection what he felt and did then; for him memory takes the place of psychological self-experience. … In the moment of life he has nothing else in his mind but just to live what is to be lived, he is there with his whole being, undivided, and for that very reason there grows in his thought and recollection the knowledge of human wholeness. To be old is a glorious thing when one has not unlearned what it means to begin, this old man had perhaps first learned it thoroughly in old age. 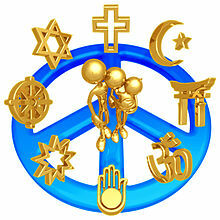 The realer religion is, so much the more it means its own overcoming. It wills to cease to be the special domain "Religion" and wills to become life. It is concerned in the end not with specific religious acts, but with redemption from all that is specific. Greatness by nature includes a power, but not a will to power. Dialogue and monologue are silenced. Bundled together, men march without Thou and without I, those of the left who want to abolish memory, and those of the right who want to regulate it: hostile and separated hosts, they march into the common abyss. The great man, whether we comprehend him in the most intense activity of his work or in the restful equipoise of his forces, is powerful, involuntarily and composedly powerful, but he is not avid for power. What he is avid for is the realization of what he has in mind, the incarnation of the spirit. 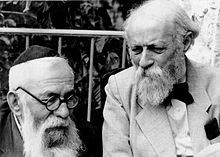 Buber and Tillich each took similar paths toward their common destination of religious socialism. Both had been influenced early in their careers by the 19th century German philosopher Nietzsche's rejection of bourgeois culture in his classic book, Thus Spoke Zarathustra, and were further influenced by Karl Marx's doctrine of human self-estrangement and objectification in capitalist society while rejecting his anti-religious bias. Moreover, Buber and Tillich, along with all religious socialists, rejected the Marxist “revolutionary dictatorship” of the proletariat. This would represent the extreme of heteronomy for Tillich and the political manifestation of the I-it relationship expressed by Buber that is based on human instrumentalism.… Tillich initially promoted an "idealistic anarchism" in the sense that he envisioned a theonomous culture arising from "communities themselves and their spiritual substance" instead of being promoted by the state. They would eventually part ways to some extent, with Buber continuing to promote a "federalistic communal socialism" yet not rejecting the political component of social life, while Tillich promoted the possibility of a central government that is not absolute in a theonomous society.